Nickolai Tikhonov was born in St Petersburg on 4th December, 1896. He fought in the Russian Army during the First World War. After the October Revolution he joined the Red Army and fought against the Whites during the Civil War. 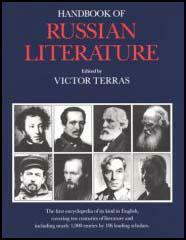 Tikhonov began writing poetry and in 1922 helped form the literary group, the Serapion Brothers. Inspired by the work of Yevgeni Zamyatin, the group took their name from the story by Ernst T. Hoffmann, the Serapion Brothers, about an individualist who vows to devote himself to a free, imaginative and non-conformist art. Members included Mikhail Slonimski, Mikhail Zoshchenko, Victor Shklovsky, Vsevolod Ivanov and Konstantin Fedin. Russia's most important writer of the period, Maxim Gorky, also sympathized with the group's views. Tikhonov published his first collection of poems, The Horde, in 1922. This was followed by The Quest for a Hero (1924). Influenced by the work of Boris Pasternak, Tikhonov developed an obscure style in which he used modernist stylistic devices and complex rhymes. The Serapions insisted on the right to create a literature that was independent of political ideology. This brought them into conflict with the Soviet government and resulted in them having difficulty getting their work published. Tikhonov broke with the Serapion Brothers and another volume of poems, The Shade of a Friend, appeared in 1936. 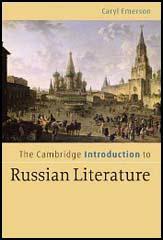 Leningrad Tales followed in 1943. The winner of three Orders of Lenin and three Stalin Prizes, Tikhonov became President of the Soviet Writers' Union in 1944. He was removed in 1946 as part of the purge organized by Andrey Zhdanov. Tikhonov work continued to be published and At the Second World Peace Conference appeared in 1951. His popularity with the Soviet government was retained by his attacks on the writer, Boris Pasternak. Nickolai Tikhonov died on 8th February, 1979.